Time for a little Escar-glow! 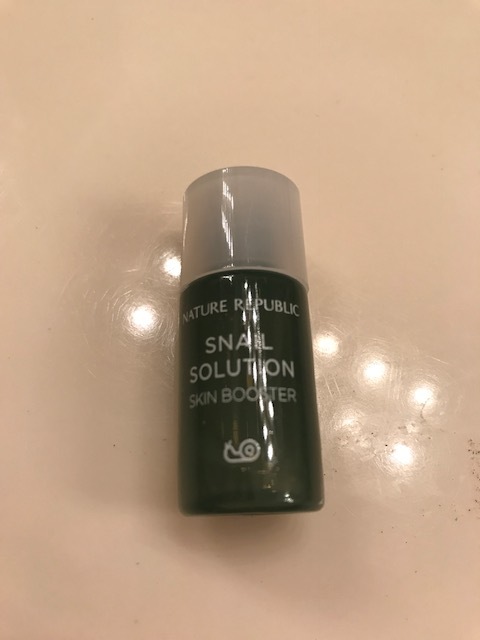 I have to admit, I felt like a modern day Nancy Drew and super curious when I heard that snails were an actual ingredient in some Korean beauty products, and I mean real snails. Yep, snail slime has become the hottest K-Beauty “must have” as mollusk mucus is known to clear acne, heal scars and even beat wrinkles. Some people will do almost anything to look better. And, I must admit, am one of them. And if slowing down the appearance of aging is your goal, there are fewer more appropriate creatures to turn to than…the snail. In the latest beauty fad to fly off shelves, snail slime is being elevated from garden pests to beauty regime–and the trend has found its way to the U.S. Mainly known as an acne solution, the gastropod’s mucus is also touted as a scar and burn healer. The secretion filtrate extracted from snails is actually filled with incredible nutrients to o keep your skin fresh and hydrated. The properties in snail secretion filtrate (SSF) have been shown to help with tissue repair, acne, rosacea, scars, and even razor bumps. Furthermore, SSF is comprised of approximately 91-98% water so it can help alleviate any dry skin issues. in European creams for years and even Ancient Greeks recognized its potential, with Hippocrates reportedly recommending crushed snails to relieve inflamed skin. 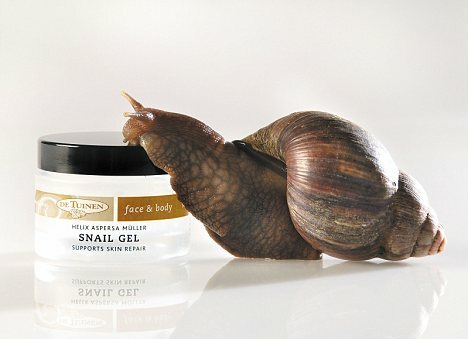 The beauty potential of snail slime was discovered by chance, when Chilean snail farmers noticed their skin healed quickly and with no scars when the handled snails for the French food market. This same farmers went on to launch Chilean snail slime products. How does snail mucin get into beauty products? From repairing skin damage and providing anti-aging benefits to soothing irritated skin and fading acne scars, snail mucin or snail secretion filtrate (SSF), offers so many benefits. Its truly versatile, suitable for all skin types and concerns. Studies have shown that snail mucin even helps with atopic dermatitis, arthritis, liver diseases, nephritis and fatigue. Cosmetics companies can be roughly divided into three categories: one that manufactures the raw materials,one that creates products using those materials, and lastly, one that sells the final products. Snail mucin us created by companies that make the raw materials. Each manufacturer has its own know-how’s when it comes to collecting snail mucin, but what is common among them is the fact that they need to create an environment that’s comfortable for the little guys and allow the snails to have adequate rest to optimize mucin production. What Kind of Snails are Used? Because snail mucin products are applied topically, only edible snails are used in Korean skin care products. These snails are not out there growing wild. Rather, they are grown in captivity since they are more sanitary than those found in the wild. The netting one is most widely known to the public. When the snails are agitated by the water, workers use a tool to scrape or rub the snails undersides where the mucin has been released. Ever since I’ve been using snail serum, my face has been much softer and my fine lines have softened around my mouth. Yes! Let’s hear it for the snails! Do you love using beauty products with snail mucin? Would you try it? Let us know why or why not in the comments!